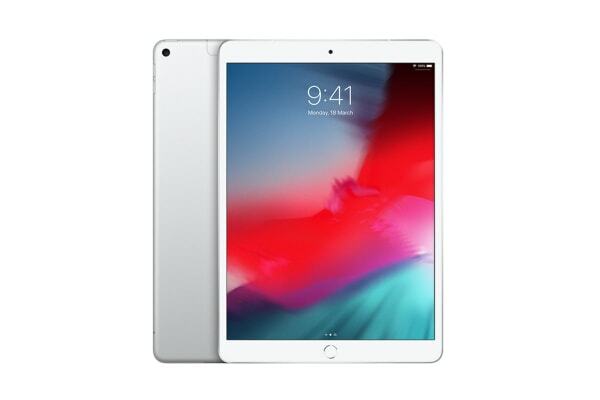 The Apple iPad Air 3 (Cellular) features a large 10.5” Retina display, while remaining extremely portable and perfect for getting things done anywhere. The Apple iPad Air 3 (Cellular) is thin and light and features advanced wireless connectivity. And with up to 9 hours of battery life, iPad Air 3 can go all day on a single charge. With Wi-Fi speeds up to 866Mbps and Gigabit-class LTE, iPad Air 3 keeps you connected wirelessly and effortlessly. And with eSIM, you can easily access mobile data plans from your iPad Air 3 all over the world. The A12 Bionic chip with Neural Engine enables a whole new level of power and intelligence. It uses real-time machine learning to transform the way you experience photos, gaming, augmented reality and more. With all this power, you can edit a video. Create a beautiful presentation. Design a 3D model. Stream your favourite show. Or do all of those things at once. A four-core graphics engine in the A12 Bionic chip delivers amazing performance for incredible augmented reality experiences, photorealistic effects in 3D games and stunning graphics within apps. Augmented reality combines digital objects and information with the real world to create entirely new experiences. iPad Air 3 is the perfect device for truly immersive AR with front and back cameras; the A12 Bionic chip with Neural Engine; a large, vivid display and sensors for motion tracking. iPad Air 3 is designed with your privacy and security in mind. Touch ID makes unlocking your iPad Air 3 simple and secure. And you can make purchases conveniently and safely with Apple Pay in selected apps and on participating websites. Just place your finger on the Touch ID sensor and you’re good to go.